The average cost of a gallon of gas dipped another dime during the past week to settle at $2.30 per gallon, according to the latest weekly survey from the U.S. Energy Information Administration. The cost of gas is now over a dollar less than it was when the year started, and some drivers are paying as much as $1.18 less for gas than they were when 2014 began. Region by region, the most expensive place to get gas remains the West Coast, where the average driver is paying about $2.62 per gallon, but even that price is 91¢ lower than at the beginning of the year. The cost of diesel also dropped a fair amount during the past week, with the average trucker paying about 7¢ per gallon less than last week, and the average hauler paying about 69¢ less than a year ago. Overall, the U.S. average diesel price is now just $3.21 per gallon. Because of refinery and supply issues, the most expensive place to get diesel is currently the New England states, where the average price is $3.37 per gallon. California comes in a close second, with the average diesel price ticking in at $3.36 in the Golden State. Meanwhile, domestic crude oil prices hit a fresh low on the year Monday, closing at $53.76. West Texas Intermediate is well on track to have shed more than 20% of its contract price during December, although there remain two trading days in 2014. Brent Light Sweet Crude, the overseas benchmark, is also coming off lows for the year, having closed below $58 on Monday. At present, both futures indices were up in early Tuesday trading. The crude contracts are a strong indicator of where gasoline prices are heading in the next several weeks. Crude prices are down nearly 50% for the year, and as the price of crude has fallen, particularly since the middle of the summer, retail prices have followed. The corollary has been very close, too. 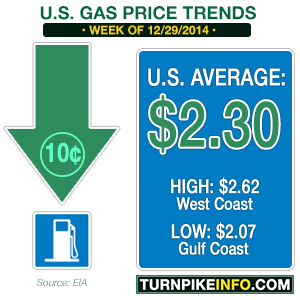 At its peak price in 2014, regular unleaded topped out at $3.71 in late April, and again at $3.70 in June. WTI hit its peak in June, as well, before beginning a slow decline that accelerated as the holidays began. The likelihood of crude continuing to fall is beginning to wane, however, as oil riggers in the United States have begun shutting drilling operations for the time being. Bloomberg news cited a report from Baker Hughes this morning that U.S. oil drillers idled more rigs last week than at any time since 2012, primarily because the cost of driller is not justified when prices fall below a specific floor. U.S. oil production has contributed to a significant slide in crude oil futures, but some U.S. companies are temporarily idling rigs, which could slow production growth and potentially halt the decline in crude prices. 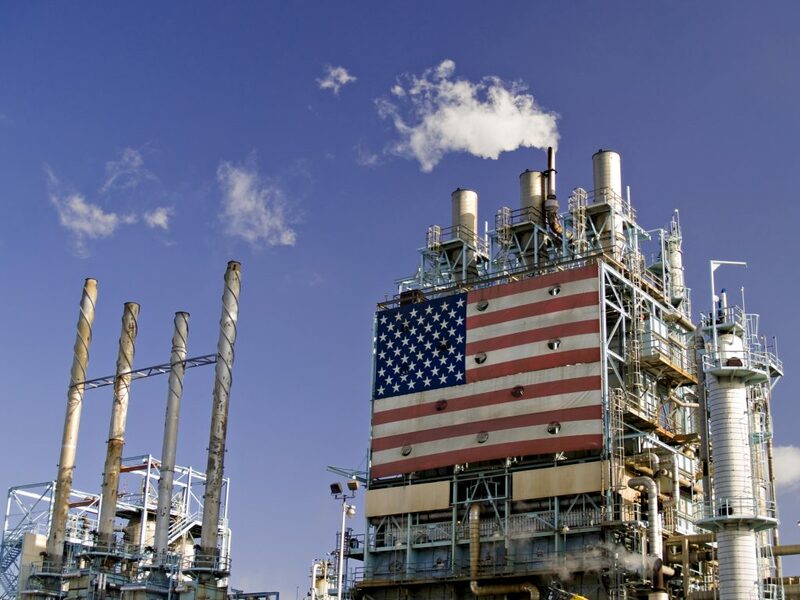 Moreover, Bloomberg News is reporting today it expects the U.S. crude supply to remain at 387.2 million barrels on the week, which the media group reports as the highest stockpile of crude since 1982. Reporters cited U.S. statistical data and their own surveys when publishing their data. Bloomberg also reported this morning that domestic oil production is at its highest levels since tracking began in 1983.